Be the Captain of your dream vacation in Paris, live like a member of the Parisian elite! 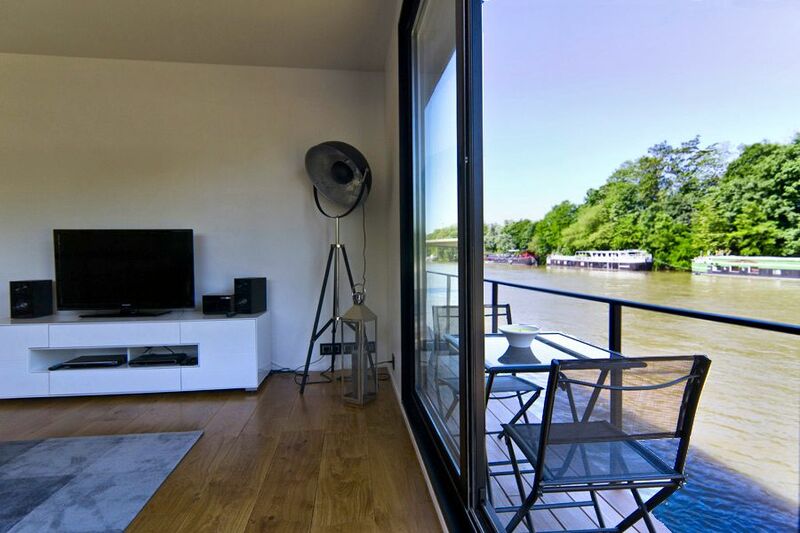 Step aboard “Le Saint Laurent” houseboat to experience the secrets of residing on the Seine and get introduced to the culture of living on the water! Walking on the riverside boulevard General Koenig, you stop to take a few charming steps down. And then – just one “Alice in wonderland” moment later – you end up discovering an entirely new world, waiting for you. 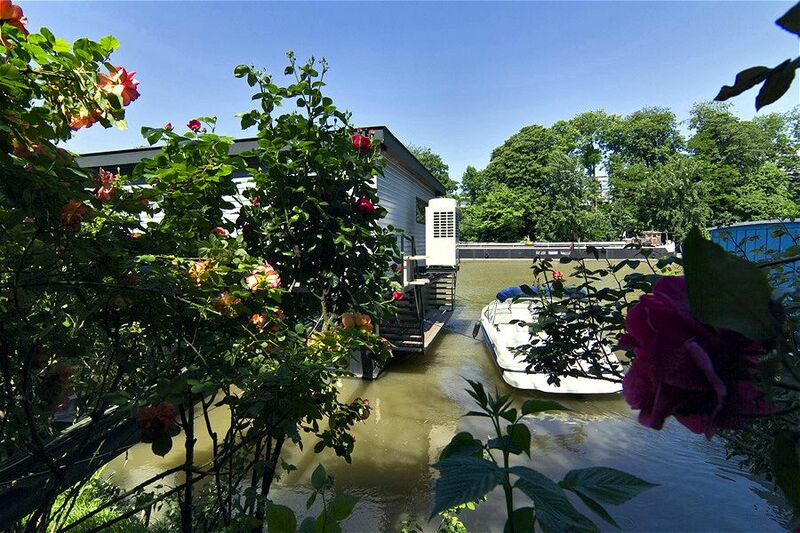 Le Saint Laurent houseboat is your secret way of combining the thrill of classical Parisian sightseeing with the relaxing seaside atmosphere just 15 minutes away from the city center. Enjoying Paris and a countryside residence in a single vacation might seem unlikely, but your stay on Le Saint Laurent makes it pretty much possible. 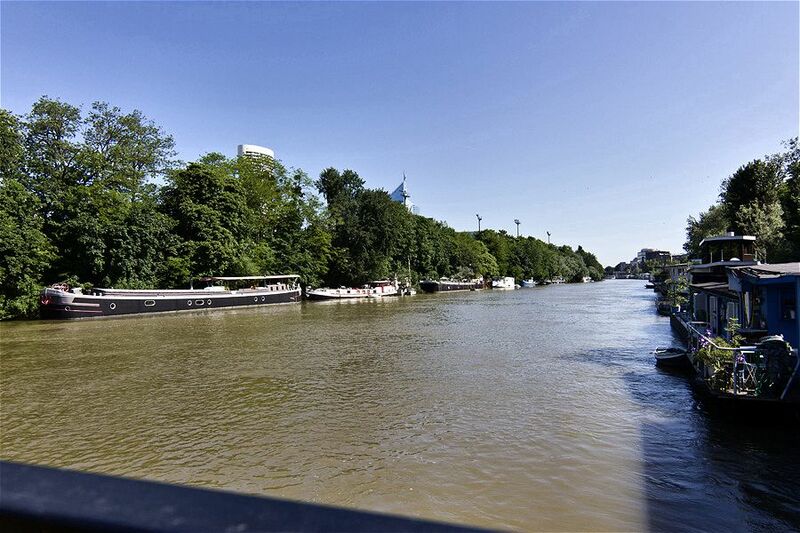 Moored on the Seine River, in the picturesque and upscale residential district Neuilly-sur-Seine, the barge has managed to escape all the nasty side effects of civilization, like noise, traffic and some other prerequisites to a stressful day life. The world “down here” is quiet, relaxing and different. Its beauty is natural, its pleasures – close to the heart. And yet, should you desire it, civilization is never too far away. You can see the “hats” of the corporate skyscrapers from your riverside terrace, La Défense is 2 metro stops away, L’Arc de Triomphe is 5 minutes by car and a pleasant walk will take you back to the whirlwind of people and colours that march along the Champs Elysées. Organized as a duplex, Le Saint Laurent has both storeys above the waterline with plenty of large rectangular portholes lavishly displaying the sight of the river. 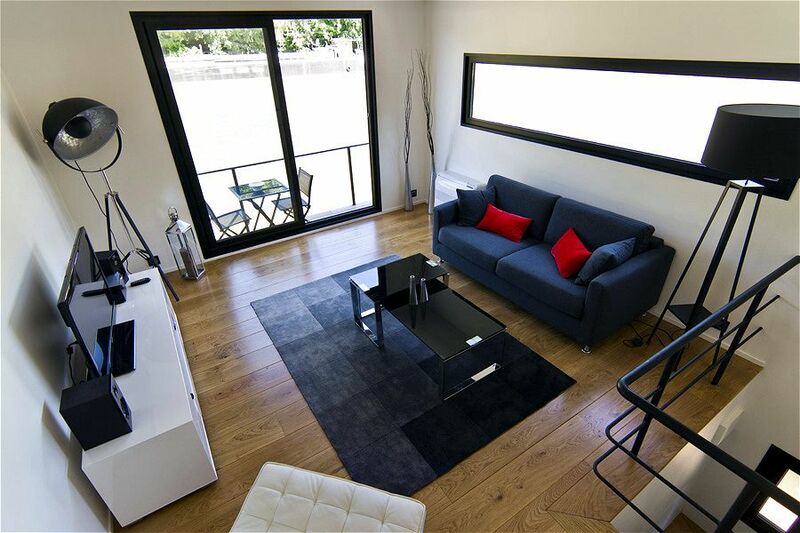 The top floor features a terrace over the water, a spacious living room and an American-style kitchen, separated from the main room by a breakfast bar. 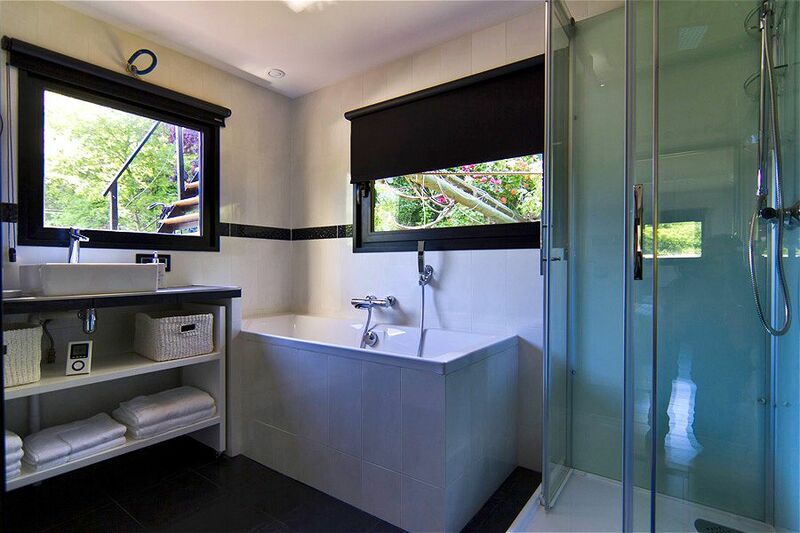 A wooden staircase leads to the master bedroom and the luxury bathroom (with bathtub and shower) downstairs. 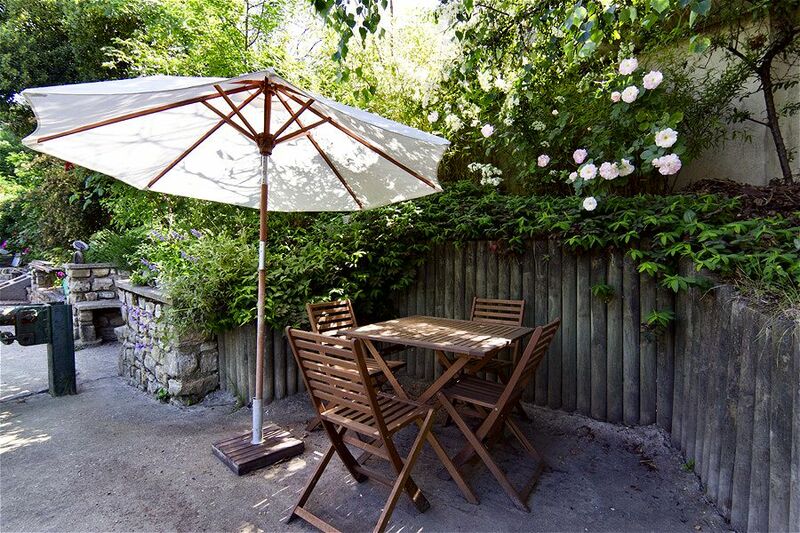 The whole place is light-flooded with triple exposure, private deck and a quay garden with family-sized teak tables, sun umbrellas and deckchairs, hidden in the shadows of willows and rose bushes. It’s the perfect backdrop for a get together party with friends, family picnics or barbecues. “Le Saint Laurent” is a definite gold mine for the active holiday maker and/or the sports lover. Paris’ biggest natural park, the Bois de Boulogne, is just a few steps away. It’s a great place to walk, jog, take a bike tour (bike parking in your garden) or even ride a horse! If you are a tennis player, you may hit some balls on the Île de Puteaux, right across your terrace. Fishing is a big sport here, so you might want to grill a good “tanche“ or “brochet” you caught yourself from the sunlit deck of your own home. Most of the year, the water in the Seine is perfectly clear, which means you can even practice your breaststroke in the natural swimming pool under your living room! Other water activities that you might want to try feature rowing, water-skiing and making a boat trip to visit Paris from a spectacular new perspective. However, if you are the Leisurely Bohemian type, Le Saint Laurent has plenty of “dolce far niente” délices to offer, too. Bask in the sun on the deck, have a homemade barbecue in the rose garden, meditate in front of the Seine’s wavy waters, treat yourself to a riverside apéritif, refreshing coffee with a view or a romantic outdoor dinner for two. As a seasonal bonus, you can enjoy the fiery sunsets over the river on warm summer evenings. As you will soon realize, living on the water is like having a free pass to a nature reserve. You’ll hear the birds sing in the morning and see families of swans and ducks (your closest neighbours) going for their afternoon swim. This otherworldly peace that embraces the place makes “the riverside people” so easy-going, relaxed and in solidarity with each other, confides Philippe, the owner of the boat. Now that’s a problem worth having! This “picture perfect” is not a simple marketing trick. 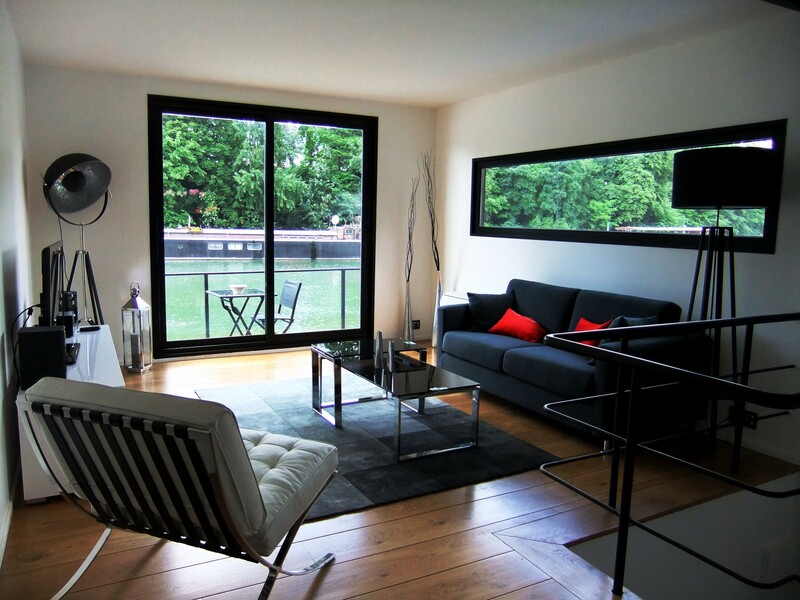 With Le Saint Laurent houseboat it can be the happy ending based on your true story.